a Facebook in February 2004 . About Mark Elliot Zuckerberg personal life . Country of residence :United state . Father's name :Edward Zuckerberg . 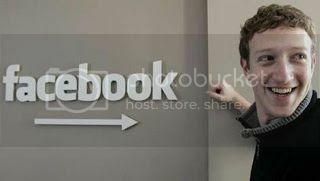 Mark Zuckerberg fahther ,Edwark zuckerberge is a dentist and his mother ,karen Zuckerberge is psychiatrist . Mark Zuckerberg has three sisters ,Randi,Donna and Arielle . Mark Zuckerberg stuied at Ardsley High School and then he transferred to the Phillips Exeter Academy. He excelled in classical studies and science. By his high school completing , Zuckerberg could read and write: French, Hebrew, Latin, and ancient Greek. How to become Mark Zuckerberg world youngest billionaire in the world ? Facebook was invented by Harvard computer science student Mark Zuckerberg along with classmates Eduardo saverin ,Dustin Moskovitz and Chris Hughes .This website was originally and briefly called Facemash website .Mark Zuckerberg was studying at Harvard university as a second year student when he wrote the software for the Facemash website . May be ,it was Mark zuckerberg's sophomoric sense of humor that led him to create the site as a type of "hot or not " game for Harvard students ,where website visitors could compare two studen photos side by side and let viewers decide who was "hot" and who was "not". Mark Zuckerberg put his computer science skills to good use by hacking into Harvard's security network and where he copied the student ID images used by the dormitories and used them to populate his Facemash website. AIn 2004, an angel investor, Sean Parker (founder of Napster) became the company's president. The company changed the name from The Facebook to just Facebook after purchasing the domain name facebook.com in 2005 for $200,000.Then mark Zuckerberg has become one of world youngest billionaire in the world and 2011 his personal wealth was estimated to be $13.5 billion .